Get Your GCHS Knights Clothing! 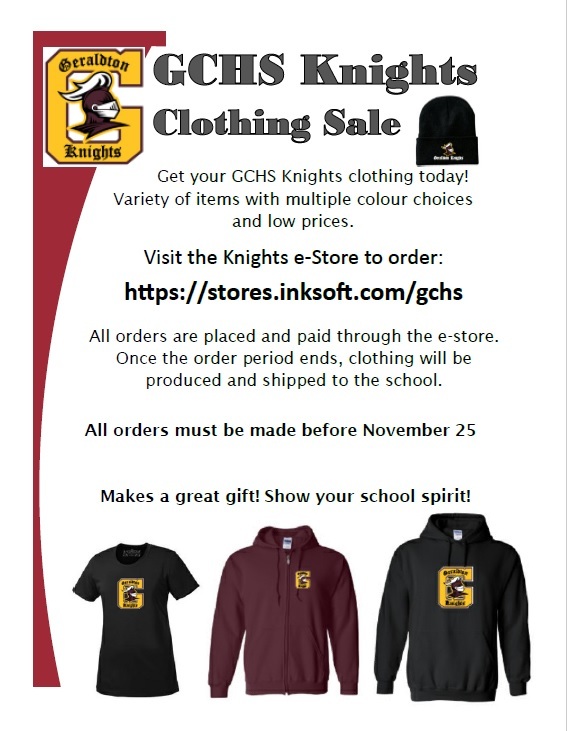 For a limited time, GCHS Knights clothing is available through or e-store! Visit https://stores.inksoft.com/gchs to see the selection of shirts, sweaters, sweat pants, toques, and jackets – all sold at cost. You can make and pay for your order on the website and all orders will be delivered to the school upon production. Hurry and order today. The store closes on November 25!